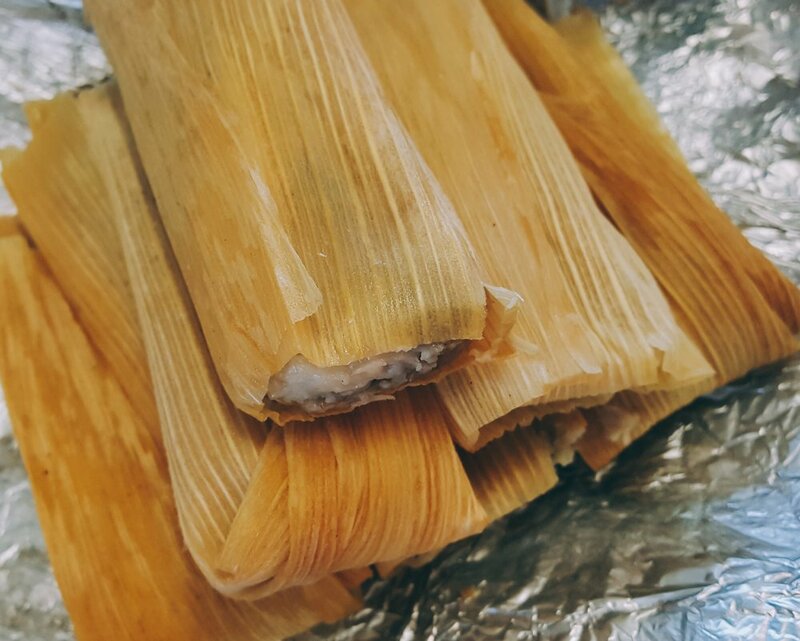 Come try a delicious handmade traditional tamale today! We have something for everyone! Choose from our flavors Hatch Chile Shredded Pork (Hot), Chicken (Medium), Shredded Beef (Mild), Jalapeno, Bean, and Cheese (Hot), Jalapeno and Cheese (Hot), and Spinach and Cheese (Mild). Our Vegan Tamales will be a hit with any animal or meat lover! Choose from our flavors Meat and Potatoes with Red Sauce, Hatch Chile and Cheese, Brown Sugar Rum, and Raisins, Jalapeno and Cheese, and last but not least, Beans and Cheese. Fill Steamer 1/4 way with water and turn heat to medium. Arrange tamales at the edge of the steamer with open end facing up and cover with a lid. Remove foil and wrap thawed tamales in a damp paper towel. Place them in a covered dish and microwave on high 3-4 minutes for half a dozen and 1-1 1/2 minutes for a single tamale. We also have homemade salsa, guacamole, and queso. Plus locally made chips, flour and corn tortillas. WE SHIP TAMALES! Email us at farmersmarketofgrapevine@gmail.com for more details!